The acceleration in global sea level from the 20th century to the last two decades has been significantly larger than scientists previously thought, according to a new Harvard study. The study, co-authored by Carling Hay, a post-doctoral fellow in the Department of Earth and Planetary Sciences (EPS), and Eric Morrow, a recent PhD graduate of EPS, shows that previous estimates of global sea-level rise from 1900-1990 had been over-estimated by as much as 30 percent. The report, however, confirms previous estimates of sea-level change since 1990, suggesting that the rate of sea-level change is increasing more quickly than previously believed. The new work is described in a January 14 paper published in Nature. "What this paper shows is that sea-level acceleration over the past century has been greater than had been estimated by others," Morrow said. "It's a larger problem than we initially thought." "Scientists now believe that most of the world's ice sheets and mountain glaciers are melting in response to rising temperatures." Hay added. "Melting ice sheets cause global mean sea level to rise. Understanding this contribution is critical in a warming world." Previous estimates had placed sea-level rise at between 1.5 and 1.8 millimeters annually over the 20th century. Hay and Morrow, however, suggest that from 1901 until 1990, the figure was closer to 1.2 millimeters per year. 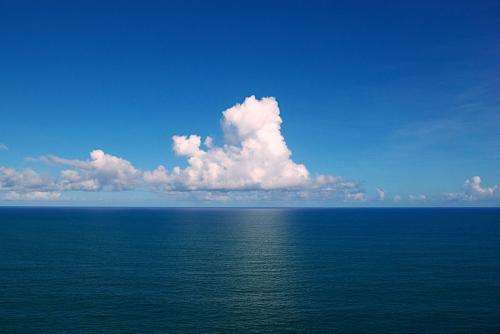 But everyone agrees that global sea level has risen by about 3 millimeters annually since that time, and so the new study points to a larger acceleration in global sea level. "Another concern with this is that many efforts to project sea-level change into the future use estimates of sea level over the time period from 1900 to 1990," Morrow said. "If we've been over-estimating the sea-level change during that period, it means that these models are not calibrated appropriately, and that calls into question the accuracy of projections out to the end of the 21st century." To obtain their improved estimate of 20th century global sea level, Hay and Morrow approached the challenge of estimating sea-level rise from a completely new perspective. Typically, Hay said, estimates of sea-level rise are created by dividing the world's oceans into sub-regions, and gathering records from tide gauges - essentially yard-sticks used to measure ocean tides - from each area. Using records that contain the most complete data, researchers average them together to create estimates of sea level for each region, then average those rates together to create a global estimate. "But these simple averages aren't representative of a true global mean value" Hay explained. "Tide gauges are located along coasts, therefore large areas of the ocean aren't being included in these estimates. And the records that do exist commonly have large gaps." "Part of the problem is related to the sparsity of these records, even along the coastlines," Morrow said. "It wasn't until the 1950s that there began to be more global coverage of these observations, and earlier estimates of global mean sea-level change across the 20th century were biased by that sparsity." "We know the sea level is changing for a variety of reasons," Hay said. "There are ongoing effects due to the last ice age, heating and expansion of the ocean due to global warming, changes in ocean circulation, and present-day melting of land-ice, all of which result in unique patterns of sea-level change. These processes combine to produce the observed global mean sea-level rise." The new estimates developed by Hay and Morrow grew out of a separate project aimed at modeling the physics that underpin sea-level "fingerprints" - explainer from previous story. "What we were interested in - and remain interested in - was whether we can detect the sea-level fingerprints we predicted in our computer simulations in sea-level records," Morrow said. "Using a global set of observations, our goal has been to infer how individual ice sheets are contributing to global sea-level rise." The challenge, Hay said, is that doing so requires working with a "very noisy, sparse records." "We have to account for ice age signals, and we have to understand how ocean circulation patterns are changing and how thermal expansion is contributing to both regional patterns and the global mean," she explained. "We try to correct for all those signals using our simulations and statistical methods, then look at what's left and see if it fits with the patterns we expect to see from different ice sheets." "We are looking at all the available sea-level records and trying to say that Greenland has been melting at this rate, the Arctic at this rate, the Antarctic at this rate, etc." she continued. "We then sum these contributions and add in the rate that the oceans are changing due to thermal expansion to estimate a rate of global mean sea-level change." To their surprise, Hay said, it quickly became clear that previous estimates of sea-level rise over most of the 20th century were too high. "We expected that we would estimate the individual contributions, and that their sum would get us back to the 1.5 to 1.8 mm per year that other people had predicted," Hay said. "But the math doesn't work out that way. Unfortunately, our new lower rate of sea-level rise prior to 1990 means that the sea-level acceleration that resulted in higher rates over the last 20 years is really much larger than anyone thought." What kind of scientist would even say this? Every possible direction you could take this predicts a more rapid melting. Surface area to volume ratios. Increase in the strength of weather systems. Oh, yeah, I suppose if you apply a good resolution model to this that's what you get. But Green, as far as I know, you've never been introduced to my model. So which other screen name are you? Used tissue? So, not only is the sea level rising faster then we thought, it is doing so at an increasing rate. I guess the Deniers think Noah is coming back. Shame they cant bottle up all that pristine melt-water and sell it in supermarkets. Green, without the word climate in the title the trolls are a lot slower to notice. It's been 8 hours and no one has made the claim its just more fraud looking for grant money. The trolls aren't interested in actual science and they just scan the headlines. Boring... we already know this! Someday the studies will surpass common sense knowledge but I doubt it. We know we have a problem now study how to fix it. You MISSED key factor which affects Earth's heat balance, the known, proven & irrefutable thermal properties of CO2. What sort of claimed graduate in Physical Chemistry IGNORES CO2's absorbance & re-radiation of long wave IR to space ? What sort of Scientist makes immature (mathless) claims a brass bowl & candle predicts climate JUST because ice melts ? U desperately need GOOD thinking ! As greenonions retorted, your model is all over the place BUT, clearly NEVER opened by you to verification Eg. We already know too well "how to fix it" because we have evidence of the cause. How we deal with the cause is a political matter & a shift in reliance away from fossil fuels. That's essentially it, anything others can add ? Thanks to greenonions for elsewhere posting this link, I'm posting it here to augment the phys.org article in terms of detail, writing style etc and also because the BBC had the presence of mind to include some detail on the instrumentation, which is a key aspect of any empirical approach. Which further raises the question why Water_Prophet's claim of a brass bowl & his fabled CO2 meter is complete & utter nonsense & does nothing except to bolster his delusion(s). As any Physical Chemist IS apprised of the issues of scientific instrumentation; timing (period methodology & external factors), underlying patterns, resolution, accuracy, calibration period, test samples and all this leading to statistics, assigning probabilities to error bars, outliers etc ie A full physics pre-prequisite to being a REAL Physical Chemist ! Climate change is natural and has happened continuously since the Earth was formed. ADAPT. Completely agree. GHGs aren't the cause, they just exacerbate the effects. While I beg to differ, I have to ask you, what's the difference? If the "cause" is something beyond the addition of gigatonnes of CO2 to the atmosphere, but that addition is "exacerbating" the effects, then do we not still have to deal with the results of those effects? Either way, something still needs to be done about CO2 loading in the atmosphere right? Throughout history creatures that survived climate change adapted. Climate change is natural and has happened continuously since the Earth was formed. ADAPT. Tell that to the millions dependent upon fishing, predatory chain relies on lower life forms affected by acidification & thermal issues re habitats affected by sea current changes. Earth will still be here sure but, being so heartless re others suffering sure makes me want to ignore your specific plight with such attitude, u can drop off the gene pool earlier. U mean the effect of retaining Total Solar Insolation - primarily short wave radiation. Cause of our environment is obviously the Sun re electromagnetic radiation. BUT clearly anyone with even a little intelligence can see the "cause" of the last 100+ years of warming has to be raised CO2 - that is if these people are educated re physics ! The "it's all natural" myth. A common argument presented to suggest that somehow the addition of gigatonnes of CO2 into Earth's atmosphere is not the driver behind climate change. The fact that the warming being seen doesn't correlate with any other instance of warming on the planet, ever, seems to be lost in this myth. There is no other driver that fits the observed warming like the addition of CO2 to the atmosphere does. Maggnus, the difference is the Earth is heating which causes more GHG release (from permafrost/ice melt, heating oceans releasing gasses, huge forest fires from drought, etc...). If you look at the Vostok data, CO2 follows temperature, not the other way around. That said, adding in more GHGs help to further this heating effect by the known properties that Mike_Massen always blabbers about. The question is what caused the initial heating? It's obvious by now I believe it's due to our intrinsic link to the Sun, and more specifically the Sun's polar magnetic field going through it's cycles. How is this heating us? Don't know yet, still working on it. Either way, something still needs to be done about CO2 loading in the atmosphere right? Historically yes & when no large continued (artificial) increase as seen since industrial revolution. Pray TELL what leads U to imagine equilibrium potential ONLY ever works ONE way ? That said, adding in more GHGs help to further this heating effect by the known properties that Mike_Massen always blabbers..
Causal aspect is clear & no longer as it was thousands of yrs ago re Vostok because we are burning approx 230,000 L per SECOND of petrol adding MASSIVE amounts of CO2 & quickly too! In other words, you heard something somewhere about Solar magnetic fields and imagine the magnetic field somehow has an intrinsic link to the Earth, but you don't know how, and using the term "polar magnetic field" somehow adds credibility to the imagining, even though the phrase actually has no meaning, and as there are known solar cycles, this must fit somehow into the imaginary theory about imaginary magnetic effects. Well. I'm glad you're working on it! The question is what caused the initial heating? What 'initial' heating have u been hypnotised into, when & over what period did it occur - predates industrial revolution how far back ? In order to follow reasoning re temp leads CO2 of long ago U have to find emissions causally linked to when some 'initial' sizable heating occurred. NOTHING has been found even close, it has to be VERY significant ! ..and more specifically the Sun's polar magnetic field going through it's cycles. How is this heating us? If you look at the Vostok data, CO2 follows temperature, not the other way around. That said, adding in more GHGs help to further this heating effect by the known properties that Mike_Massen always blabbers about. The clue is in the word anthroprogenic. The Vostok data does not have that as a cause. In other words the normal order of things IS for CO2 to follow temp (temps changing due Earth's orbital eccentricities and consequent feed-backs). One of those feed-backs is the release of CO2, and so the warming is strengthened (also increased WV). In the normal course of events CO2 is a feed-back, but when put first it becomes a driver. HAS become a driver. The heating is caused by insolation incident on the NH land masses, specifically in summer, which over millenia allows a build up or melt of ice-fields, and hence greater/lesser albedo and heat absorption. Lord save us from people who say "Something must be done!" A sci-fi writer said that many moons ago and I'm reminded of it whenever I read the comments sections on FB and phys.org, in particular. Nothing MUST be done! Leave the world to world leaders, that's why they're called "leaders". Don't like that? Then change the leadership. Bullets work better than ballots for that sort of thing if time is an issue, which it is. But we're civilized so we'll let civilization drag the human race down just like it has every so many years. Maybe some year our brains will realize we really ARE still animals at heart and are going to act accordingly no matter what our vaunted intellects, and leaders, decree. An irrational species shouldn't be expected to act rationally, it's not rational! The question now is how do we get more of us to insist that Congress deals seriously with climate change. Currently there are too many members blocking all attempts to reduce emissions. They deny there's a climate change problem while catering to their fossil fuel interests or some political agenda. They put our future generations at risk and they (mostly republicans) keep getting re-elected! When will more of us get involved so that these obstructionists are removed from office? Will it ever happen or will our children be forced to suffer from our neglect and greed? Please join the efforts to change course. Apathy/inaction effectively advocates for more of the same destructive behaviors. We MUST do better. So green, how can you claim to understand my model, and still claim I am a denier? It demonstrates and predicts climate change quite profoundly. Saying it doesn't is quite silly. Well, GLOBAL climate change is trivial to predict with a bowl of ice. To predict local climate you need to understand only prevailing weather, geography, and use basic principles above to enhance the model. If we assume charge and the speed of light being constant we can derive all of Maxwell's equations, electronics and optics. We can use optics to gain insight in quantum mechanics. You really don't think you can do much with a bowl full of ice? Ice being the major metric of climate change (demonstrated). Importance of local effects, such as N. Pole being affected more than South. Rise of oceans. More dynamic weather, etc..
Rather humble, yet powerful, no? Especially since I've been saying this before it got popular. And you completely missed the bit about predicting all of electromagnetism, electronics, optics etc from only two assumptions. Some people can read War and Peace and come away thinking it's a simple adventure story. Others can read the ingredients on a chewing gum wrapper and unlock the secrets of the universe. I am a silly scientist, and models are used for when you change variables a little bit over thousands of iterations. Climate is not a chaotic effect, it is a gross effect, and those models you brag about, don't seem to work anyway, so your argument seems to be a one legged stool. No, I read a study that linked ENSO/PDO to the solar cycle and the correlation was close enough that it made me start to think about it. Oceans are the Earth's main drivers of climate along with the Jet stream, which is affected by high/low pressure systems that develop over the ocean (Ridiculously Resilient Ridge ring any bells?). Ocean's forced by the solar cycle -> climate forced by solar cycle, that's the reasoning. Then why would that change just because we put more into the system? When you put more fuel into an engine you don't get a whole different reaction, you just get a more energetic (and hotter) one. Sure for those that have never appreciated combinatorial complexity & the FACT U haven't included a great number of variables. 1. How did it predict transition from warming to so called hiatus whilst NOT spinning in 1998 ? Or did U put it on a turntable, maybe at 33.3 rpm LP ? Not even close, you ignore so much, obviously never trained in physics, probability, permutations & even basic experimental methods. How far from reality r u ? How small is your bowl to manage differential thermal inertia & Km's of altitude ? And without a shred of education in experimental methods, instrumentation, even basic thermodynamics of scale, just answer 1 above - ok ? "Close enough", based upon what particular metric, what error bars, what analysis, what confirmation of measurement methodology ? Depends on how u apply (which precise) definitions ? Total Solar Insolation is clearly the singular MAIN driver ie Origin but, Oceans provide immense moderation via massive thermal inertia, they cannot drive by virtue of such inertia, they can only moderate. Try it yourself, set up an experiment in a bath room with a hot lamp & the bath with cold water (avoid the brass bowl & candle please), what drives particular change & what moderates ? Please read the links supplied, it will save us all time. U have been down this road before & recently, seems U didn't read my post to U before. evidence does not favor your idea (so far) ie. If U can counter this with something substantive, I would like to see it - can U ? You've chosen an inappropriate analog. We have been down this road before. "External periodic or quasiperiodic energy flow can force its rhythm on atmosphere and oceans. Long-term climate effects due to varying solar irradiance, if strong enough, would be case in point"
"The solar cycle signals are so strong in the Pacific, that Meehl and colleagues have begun to wonder if something in the Pacific climate system is acting to amplify them"
"This suggests that secular increases in cosmogenic and geomagnetic proxies of solar activity may not necessarily imply equivalent secular trends in solar irradiance. Questions therefore arise about the interpretation of Sun-climate relationships, which typically assume that the proxies imply radiative forcing"
Me: "In other words the normal order of things IS for CO2 to follow temp"
CO2 can both lead and follow, be a driver or a feedback. Depends on which comes first. Earth reacts to Solar input due to orbital variations (discarding all minor drives such as volcanic aerosols, and the short term climatic cycles such as ENSO). Cooling allows CO2 to be absorbed into oceans better and is a +ve feedback, as was albedo/ice in the NH. On warming oceans are less of a sink - atmospheric CO2 rose in tandem (but with a lag). +ve feedback. The system was in balance (about a mean, whereby sinks could aborb from the sources). Burns fossil at increasing rate. Outstrips the ability of sinks to absorb. Increases in the air. +ve feedback due GHE and more WV. No, I read a study that linked ENSO/PDO to the solar cycle and the correlation was close enough that it made me start to think about it. You did? I'm reading your links. Can you also confirm that you know there is a difference between causation and correlation? And, how does that explain the "intrinsic link" in either event? Oceans are the Earth's main drivers of climate along with the Jet stream, which is affected by high/low pressure systems that develop over the ocean. 2/3 right. Can you figure out which part you got wrong? Well, sort of. Oceans aren't forced by the solar cycle, they respond to changes in solar insolation. The solar cycle is too quick for oceans to respond to them. The climate is indeed driven by changes to the ocean - and we are seeing the oceans absorb much of the excess energy from CO2 derived heating. What do you think happens next? Cite 1, ""Solar Forcing of El Niño and La Niña", Landscheidt, T., 1st Solar and Space Weather Euroconference, 25-29 September 2000," is a 2000 discussion of the oscillation in the climate system represented by changes in the ENSO and its correlation to solar cycles. He suggests that the ENSO occurance correlates with the sc, and he predicted that an El Nino will develop in late 2002 (a moderate one did occur: http://ggweather..../oni.htm although it started, peaked and ended earlier than predicted). Landscheidt was also a proponent of the idea that we are actually in a phase of global cooling, (http://bourabai.k...w-e.htm) which should end around 2030. He is cited by the likes of Moncton and Spencer who claim his work on solar cycles helps falsify climate warming hypotheses. I think it telling that he says right in his paper, that "I do not pretend that the proposed hypothetical mechanism is actually working" (Pg 3) and his analysis shows, at best, ..cont..
cont.. at best, a weak correlation. His work is heavily cited by the global cooling crowd and by others who think that the sun's cycles are the result of planetary alignments (see here. for eg: http://www.landscheidt.info/). His work has been roundly criticized as speculative and poorly researched. (http://plasmareso...ts1.pdf) So, I wouldn't hang my hat on his work. So you're right scroof, this does support your comment. Well done. when researchers look at sea surface temperature data during sunspot peak years, the tropical Pacific shows a pronounced La Nina-like pattern, with a cooling of almost 1o C in the equatorial eastern Pacific. In addition, "there are signs of enhanced precipitation in the Pacific ITCZ (Inter-Tropical Convergence Zone ) and SPCZ (South Pacific Convergence Zone) as well as above-normal sea-level pressure in the mid-latitude North and South Pacific," correlated with peaks in the sunspot cycle. The NRC report suggests, however, that the influence of solar variability is more regional than global. "If there is indeed a solar effect on climate, it is manifested by changes in general circulation rather than in a direct temperature signal." (Raymond Bradley of UMass) This fits in with the conclusion of the IPCC and previous NRC reports that solar variability is NOT the cause of global warming over the last 50 years. Hal Maring, a climate scientist at NASA headquarters who has studied the report, notes that "lots of interesting possibilities were suggested by the panelists. However, few, if any, have been quantified to the point that we can definitively assess their impact on climate." Hardening the possibilities into concrete, physically-complete models is a key challenge for the researchers. so the skinny is that there is evidence that solar variability does effect Earth's climate, but that the solar cycle's short-term changes is a regional affect, not global, and the effects are more restricted to regional changes in rainfall and not oceanic changes. SO no, scroof, this one doesn't actually support your comment. Cite #3, The effect of increasing solar activity on the Sun's total and open magnetic flux during multiple cycles: Implications for solar forcing of climate, J. L. Lean et al, Geophysical Research Letters Volume 29, Issue 24, pages 77-1–77-2, December 2002, is a discussion of the relationship between solar irradiance and cosmogenic isotope variations as it effects secular increases in cosmogenic and geomagnetic proxies of solar activity, thus suggesting that questions arise about the interpretation of Sun-climate relationships, which typically assume that the proxies imply radiative forcing. This is actually against you scroof. If you're keeping score, then, one cite supports you, one is ambivalent, and one actually contradicts you. I have to say, however, that you are getting much better at this, and my only suggestion is that you carefully read what you are citing to ensure it says what you think it is saying. So lets talk a bit about a specific driver of atmospheric heating, CO2. You have an impression that CO2 follows temperature increase (which is correct) but does not cause temperature increase( which is wrong). Runrig has chatted about this already, but I'm wondering, do you understand the import of his comments? Can you see how CO2 can drive, not just be driven? Sorry, Green, I was just referring to the many articles on this site about models which were shown, as part of the article, to be in arrears. I am sorry you are too opinionated to see that simple and intuitive models can work, but on the other hand, there are many more who do. Maggnus, I agree with your assessments of cite 1 and 2. Cite one shows that there is a (loose) correlation. Cite two basically says the Sun's varying output affects climate change more than we thought. "In this way, long-term climate change may appear to track the amplitude of the solar activity cycles because the stochastic response increases with the cycle amplitude, not because there is an actual secular irradiance change"
The amplitude of the solar cycle is what I speak of when I say "polar magnetic fields", so this actually supports me. I don't know how you got the impression that I have an impression that CO2 does not cause heating, I don't. I just assert that it's not the sole evil of climate change. Funny but it was just the opposite for me: "Acceleration in sea level rise was far smaller than initially thought". I am sorry but my memory is not what it was once. It was only 1mm but I will allow for 5 if you insist. My comments stand! The very title of your link says that you were wrong, so your comment doesn't stand. And your link bases it on a paper by Beenstock. As you must know, Beenstock is an economist (and denier) who has attempted to apply econometric techniques to climate science. He's famous for having previously shown that humans aren't warming the earth. Of course, to do that he had to violate physics, but you've got to break some eggs to get your anti-science papers written ;). This shows the danger of having someone without any familiarity with physics doing research into physics. He appears to be applying the same invalid techniques to sea level rise. Is there any reason you prefer to get your climate science from researchers unfamiliar with the topic rather than from researchers that know and understand the physics? ie. To show Evidence of solar ie TSI tracking or going up in accordance with your claims but, instead I get articles, fine ok, but not all of us have so much time (easily) to wade through them, so I guess the ONLY reason u consider these of relevance is they have compelling evidence which refutes the link I offered that U have studied ! ie. Where is there any evidence TSI tracks magnetics so u can make even a guess at correlation, not meaning that is the same as causation obviously but, something definitive re measurements of TSI independent of researchers claims there is magnetics ie The Provenance is essential to make a claim a magnetic field tracks energy delivered to Earth, because so far there is NOTHING to show correlation with sun's polar or heliospheric fields which match in any form the increases in average temps we see ? This is nothing but AGWite scaremongering. The whole, "The sea levels are catastrophically rising!" hysteria has been a lie, all along. As you know, this link shows the sea level in the Pacific is rising at high rates. Look at Figure 3 which shows the sea level trend higher than the global sea level trend of ~3.2mm/yr. You can also find the sea level trend in the original document at http://www.bom.go...0809.pdf where it appears as Figure 13. It's also accompanied with a table since it's hard to read those tiny graphs. The table is on page 2 and repeated on page 9. So your own link indicates that the sea level rise is pretty bad. As for the other links, the Forbes article is an interview with paid denier Fred Singer (who still thinks smoking's not bad) and the Telegraph article is about Morner, who famously photoshopped "evidence" to try to discredit the science. Good references ;). One thing about the rising sea levels, they do provide a quantifiable metric for global change. 6 cm rise x the surface of the ocean, x joules to melt water. Of course what this metric actually measures can still be contested. But don't knock it-Florida can easily go under water regardless of the cause. U r so very out of touch with Science & international measurement methodology to claim ALL these people r madly conspiring ? In context with an earlier post where you accept warming there is clearly a contradiction in your cognition. How can U have warming with NO rise sea - where is expansion of water going ? Care to offer an intelligent hypothesis for a change ? 1.Preface re 'sinking' AND 6 years old ! How is it relevant ? Are U ill or disabled as U shoot yourself so often ? I can only conclude U are PAID to obfuscate & make erroneous claims, so if you don't explicitly deny it I will take it that you ARE paid and obviously should NOT be here trying to undermine Science & Evidence ! Please show study indicating sea levels falling ? Then WHY can't you show how *little" CO2 contributes as you claim by doing an area under the graph of this for CO2 absorbancy/re-radiation ? You have contested on many occasions CO2 is "trivial", "red herring" and "aneamic", where is your evidence. Where was CO2 in your brass bowl idea it can model all of earth's climate ? Islik ou lactile bol wy nictrun frim bok ul wey. Bok wil nottoya semul poj wildilwey expasterminity, feegom! Bos agural, Mike_M, Bos agural. Un agural sliptnotum gosto bewriddy poas frabdigybit, on loterh mas muncton. When is this nonsense going to end? There are seasons, but no Global Warming or Climate Change by human emissions. "The oceans contain 37,400 billion tons (GT) of suspended carbon, land biomass has 2000-3000 GT. The atmosphere contains 720 billion tons of CO2 and humans contribute only 6 GT additional load on this balance. The oceans, land and atmosphere exchange CO2 continuously so the additional load by humans is incredibly small. A small shift in the balance between oceans and air would cause a CO2 much more severe rise than anything we could produce." "The oceans contain 37,400 GT of suspended carbon, land biomass has 2000-3000 GT. The atmosphere contains 720 GT of CO2 and humans contribute only 6 GT additional load on this balance. The oceans, land and atmosphere exchange CO2 continuously so the additional load by humans is incredibly small. A small shift in the balance between oceans and air would cause a CO2 much more severe rise than anything we could produce." The CO2 mankind contributes to the atmosphere happens to be a least x2 the margin for it's sinking (oceans etc). Just like a tiny bit of arsenic will go a long way - so does CO2 when the system is unbalanced. I suggest you go and investigate the science a bit more ... or actually even at all. After all you got taught what little you know by experts and logic dictates that they know more than you. This despite whatever grade of DK syndrome you have. BTW: use Google and whilst there type in "properties of CO2", "acidification of oceans" etc. Its very stupid to shift into a language which also hasnt got ANY quantification to support your claim - You should be banned - grow up, be a man and do the study or find it. Y CAN'T U Water_Prophet show Evidence to support your claim of CO2's low effect. Y cannot U Water_Prophet, do comparative analysis as claimed graduate of Physical Chemistry SHOULD be able to, OR AT LEAST locate a study ? You realise mchazlitt, you are going to the trouble to show your immense ignorance, why didn't you bother to check first before posting propaganda, who paid u to obfuscate Science ? Instead of making claims that make U look unintelligent, Y not check first & instead ASK with some semblance of humility rather than blurting arbitrary claims that make U look like U lack focus ! Look at the instructions, try the buttons & observe, learn & investigate, don't be like Water_Prophet. WHAT evidence do you have its "tiny" please ? "The oceans contain 37,400 billion tons (GT) of suspended carbon, land biomass has 2000-3000 GT. So what, has that anything to do with emissions ? A small shift in the balance between oceans and air would cause a CO2 much more severe rise than anything we could produce." Pray tell show us why is a "small shift" ? Do U mchazlitt understand comparative magnitudes - how many billions is a giga ? Since civilisation began right up until just before the industrial revolution, CO2 in the atmosphere was maintained at a relatively stable 280 ppm. As much CO2 went up into the air as was taken out each year. After humans started burning fossil fuels (coal and oil) at a great rate, CO2 started increasing. More was going into the air each year than was being absorbed by plants/oceans. It now stands at around 400 ppm. Virtually all this extra accumulated CO2 is there because of human activity. 400 - 280 = 120 ppm - that's how much of the CO2 in the air was put there by us. 120/400 * 100 = 30% - that's the percentage of the CO2 in the air today, which was put there by us. Runrig, yes its a huge percentage. 43% wow. Now water vapor has only increased 2.2%. But let me ask you, would you rather have 43% of a dollar, or 2.2% of a million dollars? You're looking at the wrong metric. The effect of CO2 is proportional to the amount, or concentration, so if the Earth were at equilibrium with 500000ppm of CO2, adding 120ppm should have the same effect as adding 120ppm to our actual 280ppm. * You see that % is meaningless. You can make similar analogy as if it were insulation. Put another way, 2 x insignificant = insignificant. So, to repeat my old hat, water has increased 435 ppm. Is about 40x stronger than CO2, so should have a tremendous effect. It doesn't. So you need to start forming other ideas. *not precisely true, but then I don't need to explain it to those who'd know why. Mars, ayy? Neither Mars nor Venus are Earth, their warming effects are both so different from the effects on Earth that the comparisons are essentially useless. The mechanics of a 95% CO2 atmosphere are very different. There the CO2 is nearly THE ONLY THING keeping it "warm." Here, again, I should be able to shoot down all objections with a single intuitive statement: The temperature of Mars swings greatly from day to night. This is because it can only trap heat at one absorption band. It defines the Martian environment. Let the silly objections begin. As I seem to recall, I refuted on grounds it missed the big rocks Stumpy. It was idiotic, and you never followed up afterwards. As usual, when someone shows you up, you run like a scared little kitty. I don't recall exactly, because, guess what, I don't make it a habit of memorizing garbage. Sorry, bub, go back and consult with John Cook, prepare another false path. And what is it you object to about my use of physical constants as proofs? I make my derivations straight from heat capacitances, absorptions spectrum, etc.. I am sorry reality conflicts with your opinions, man, but here's God's number: Give him a call, I am sure, given that they are YOUR opinions, he'll listen to you. 011-39-06-698-83913. Put a line in for eliminating genocidal maniacs and those that celebrate them in from me, will you? Or would that be a conflict of interest? how does this link to a known biased and selectively partial web-site who is also known for publishing lies and biased information while repeatedly confirming said bias relevant to this conversation? WHY don't you want to know measured & observed data proving a point? Why do you ignore STUDIES for graphs without all the pertinent and relevant information? I did, you just didn't read the articles. The Sun's influence is not just from TSI, but also from the varying magnetic flux throughout the solar cycle, a process that is currently not well understood. So CO2 has skyrocketed, yet temps still remain stable. Does that mean all of AGW and climate science is wrong? No, it just means they don't know everything that's happening. This is about the author, who being polite, and I see NO reason to be, only has, at best, as good opinion as you or I. Yet the dodo referencing him, uses him as an authority. Not seeming to realize that that is the same as referencing any other crackpot with a website. Or you, or me. So if you like scroof, you can tell the dodo you are arguing with that they are wrong because I SAID SO. I have as at least as much credibility as skepti., and of course my personal opinion is that I have much more. lets look at this side by side, shall we? you don't seem to have a problem denigrating or vilifying people who can support their claims with actual science... why is that? and where is the equivalent evidence refuting my links that i gave above?